Jean had news on Mon that she had been successful in gaining School Cert. also Matric. She had 5 credits. She has done well considering all the set-backs she had. She was very excited, which probably caused the bilious attack she had yesterday or it may have been too many plums. I went to see Mrs T[ed] Brown and when I arrived home (Rene arrived at the same time) Jean was sitting over the fire having left work at 4.15 and cycled home. Ciss had given her hot peppermint and she was feeling a little better and had lit fire and put kettle on stove. She had Bovril later and a little sleep on couch, then to bed and was better this morning. Had a letter from Ron yesterday, Jean and Rene had one too. No news except that his ear was much better but not quite well. Says he managed to take his spring mattress to S. France with him so is well off the ground, they are in tents. Sounds rather tired, think he is working hard. War news is still very good, we are 5 miles over Ger. frontier. There were two heavy explosions this morning early 2.30 and 3.15 am but there was no enemy activity reported. Evacuees are streaming back to London in spite of contrary advice. Gerry may still have something up his sleeve and apart from that practically half the houses in London are down or damaged so accommodation will be a problem for some time tho’ I can quite understand the people wanting to be at home if it is reasonably safe. Mrs Young, Tom’s sister, came Thurs. Very pleasant and little trouble. Rene brought her in chair on Mon. Jean and I went to Chapel Sun morning, Tom preached. A swallow flew in during the sermon and stayed. “A bird of the air shall carry the news, and that which hath wings shall tell the matter.” Harriet, Gladys and Grace came Sun even. They brought Eileen. She is lovely but spoiled. They brought me some plums and Eff brought me some Vic[toria] plums from Grandma. I have made about 6 lbs jam and bottled several jars, keeping enough out for pie and pudding. Have packed a box of apples for Emmie. Percy is sending them off tomorrow from M[um]by Rd [Station] as he is coaling from there. Sowed lawn seed on Mon ev. Jean rolled it in so hope it grows. No doubt several critical pairs of eyes will watch it with amused interest. Hope I sleep tonight. I scarcely slept at all last night, but went back to sleep after Rene went home to-day. She came and cleaned bed-rooms. Had asthma rather badly when I woke and toe was so painful I had to bathe it (in Ep[som] salts). ‘Matric’ refers to London matriculation exemption, which Jean earned by achieving a sufficient number of ‘credit’ grades in School Certificate (SC) examinations. Matriculation would have been a step towards qualification for university entrance, normally preceded by Higher School Certificate examinations after a further time in school. 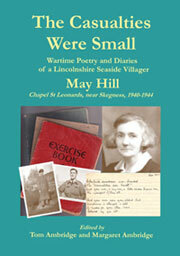 However Jean left school immediately after the SC stage, to enter employment (see 6th August 1944). The chair used to convey Mrs Young, was probably the invalid basketwork ‘bathchair’ which had been used by Tom’s first wife. I have neglected my diary lately. Seem to have been fully occupied. Jean started work last Monday July 31st at Town Hall Skeg[ness] as Junior Water Rental Clerk. Tom thinks it is a good start. 22/6 a week paid monthly but the other girl gets the same and has not been to sec[ondary] school. Girl who teaches Jean (Freda) very amiable, showed Jean how to type one day and Jean typed a little letter to Ron. Must remind her to write to him and send it. She has Mon. (Bank Hol.) off, also Tue. afternoon and has been granted leave of absence for the week we go to Yeadon. She seems to like her work. We go to Yeadon if all’s well on Fri and return Thur 17th so hope Emmie can come back that day. Ron’s address B.N.A.F. again now, he has moved, I wonder if he is back in Africa. He is very fit and well, brown to his waist. Annie’s visitors came on Tuesday, they bought my knitted penguin, a golli and a Teddy Bear 7/6 each and ordered another golli and a rabbit but bought two rabbits and a golli. Rabbits 5/0 and 4/0 the smaller one. I forgot to allow turnings on pattern. My live bunnies are thriving, 7 beauties. We moved them into long hutch yesterday. Also moved hutches. Have got wood stacked on end to save rotting down. We are reducing the pile. It soon goes with no one to replenish it. Dear Father, he seldom came off patrol without something. I have hung the float up in the kitchen. He would like to think we have kept it. The old garden seat wants repairing, I don’t know whether I can do it or if I have wood that will do. These little things worry me. Supp[lementary] Pen[sion] reduced to 16/6, and 5/0 orphan’s Pen. stopped, so tho’ we are no better off for Jean working we are 11/6 a week more independent. If I can only get kapok and get licence and sale for toys we may soon do without Supp. Pen. The widow’s pension I consider my right, earned and paid for by Father. I went to Labour Ex[change] on Mon. re toys and hope to obtain licence soon now. Then I can make a move about selling them. I bought a new black dress from Keightleys 38/6 just what I wanted so still have Jean’s £1 from Aunt Jet. Jean’s shoes were 25/0 from Cooper’s. Must remind her to take coup[on]s. Lily sold my brown ones for 12/6 and 3 coups. Commission 1/0. Went to Harriet’s last evening to see how Grace was after appendicitis op. on Wed. She is as well as possible to be after it and hopes to come home at end of fortnight. It was acute and would soon have been necessary, perhaps suddenly. They are very taken with new doctor. Eileen is marvellous. Maisie and the other Eileen have gone back to Scotland. Ciss has visitors for a week. Gwen going for holiday today. I must get some Pen. money this week, also leave rent with Ciss. Ron’s allotment not thro’ yet but must not touch it. Called at G.ma’s as I came from Harriet’s. Ken and Den [Raynors] having a boxing match in kitchen. G.ma says Ber[nard] doing a big trade with baskets. Must have cycle basket for Jean when she gets cycle, so good and useful. Rene brought flowers to-day for grave. I want to take them to-day. I miss my flowers so. I hope another year to have plenty. We have got square of grass at back quite neat and have mown it twice with lawn mower. It is not very level but will roll it when it rains. I am filling hollows with tufts of grass from garden path which want removing. Markery growing well under apple tree. Antirrhinums Mrs Stewart gave me beginning to flower, all red I think. Mary brought me wallflower plants and marigolds, also eggs and dried peaches. It is 8.30 so think I will soon get up. Rev Lowther is preaching so want to go to Chapel once. Have not got oil stove top back so must light fire. Had better get meths for Fri. as we shall not want to light fire but hope we will have stove back by then. Tom starts holiday Tues and is off Monday so Rene won’t be able to come much, but with Jean at home Mon and Tues aft we shall manage. Made trousers of Jean’s pyjamas last night. Peas in fields not filling Elsie says owing to lack of sun. We had more sun yesterday than for a long time but cold clammy mist night and morning almost like sea aar. Not quite so thick this morning but still very dull. Think I hear Brock’s, milk botts not put out! Freda Whitmore was Jean’s senior colleague at work. 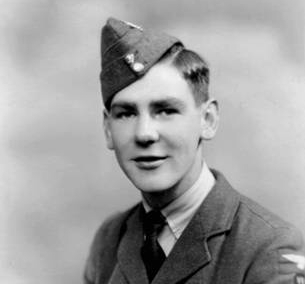 Ron’s RAF Squadron (93) had moved on from mainland Italy to Corsica in late July 1944. This location apparently came within the ‘umbrella’ of the British North Africa Force (BNAF) at this time. The ‘float’ was a green-glass ball which had been attached to a sea-fishing net and had presumably been picked up from the beach by Will. May is pictured holding the float in the family group photograph taken by Jean in 1942. 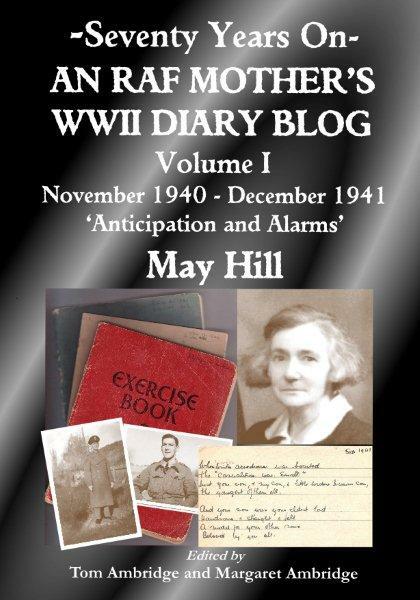 Eileen, whose grandmother was Harriet, refers to Herbert and Annie Faulkner’s baby daughter (see 11 May 1943). ‘The other’ Eileen here refers to Ben and Maizie McGuigan’s baby daughter, who was born in Scotland at Ben’s parents’ home. Maizie was considering staying with Ben’s parents again but she returned to live in a rented house in Chapel St Leonards to await Ben’s return from Navy service (see 18 November 1943). ‘Ron’s allotment’ was probably an allowance towards ‘home rent’ from RAF pay, possibly in recognition of his father’s death. Rev. Lowther was a visiting Methodist minister. Aar – or haar – was a sea-mist. Another lovely day. I blackleaded kit[chen] grate and cleaned fender and steels. BlkLead is not so bad to get as at one time tho’ it varies in quality. I have good metal polishes too now, both Day and Martins. I tacked a frame to-gether to make a lino background or splash to my stove. I thought as I did it, how much longer Father would have taken over it and how much stronger and better it would have been when finished. Rene brought some roses last night, I took most of them to his grave to-night. I cannot seem to realise that it was really me taking flowers to put on his grave, I seemed to be apart watching myself go with the flowers in my cycle basket. I am so thankful that I do not feel he is there, he seems so near me at times at home, but sometimes it seems as if he were speeding away from me faster and faster, then again he seems to be so near, that I feel his presence except that I cannot see and touch him. Planes are droning round all the time, a lot of people are evacuating London. Gerry must have had thousands of these fly bombs made. I have made Annie’s Eileen a Teddy bear, finished it to-day. Daisy came this afternoon and paid for hers (5/0). Rene has taken the Rag bag doll for Red+ Salute the Soldier week. The Doodle-bug Jean calls it [the doll]. Jean stayed at Jessie’s for tea on Thurs. Had ham she says. Friday morning Father and Jean got their breakfast and brought mine before going on watch and to school. I rose about 11 o’c. Father had taken cinders out so I took mats up and sw[ept] and dusted leaving mats for Father to shake at 2 o’c. By then I was crocked up again. I let Father go to but[cher's] cart with Peter and Pe. let me have 2 tins corned beef. Said they were the last. After this it is to be corned mutton. I have heard it is very good. Expect we shall soon know. It is very misty and damp to-night, yet strange to say I feel better this last hour since the fog thickened (it was hazy all day) than I have for some days. Perhaps it has turned colder. Tom and Rene called a while since and he said it was the weather he loved with the mist wrapping round like a blanket. Well he is welcome to it, but I don’t like the clammy feel of it. Says the sea has come in up to Cousins’ bungalow again. The workmen are busy putting “kids” in the broken bank. Father says if they run a couple of rows of barbed wire across the gap it would be quite as effective! We did not have a gale with these tides so they were not so picturesque or so destructive as the Apr. tides. I stayed in bed Sat morning and Jean brought me a letter up just before ten a.m. It was from Amy to say she and Aunt Jet (Ken came too) were coming in Tagg’s car about 12 o’clock. I got up at once and we got the oven started and cooked Sunday beef with York[shire] pud, rice p[udding] and stewed log[an]berries. Also new potatoes but we had no sec. vegetable. A. said she was bringing provisions. It proved to be tin[ned] beef and cooked bacon and some bought tarts. She had been out day before too. We managed alright and dinner was cooked in good time. Jean had got on pretty well downstairs. Father went to Hall’s for groceries and got me some cake too. I dusted down the stairs and made beds as soon as I was dressed. Room was clean as we had not been in since Wed. when I cleaned it well. They all looked fairly well, indeed very well. Aunt J is about as usual, never content but rather more frail I think. Jean managed to get Ken to the sea after dinner, but she says he is very shy. Rene took a snap of us sitting on the seat by the back door. It was very hot there in spite of the cold wind. Ken is making a rockery and took several bits of my rock plants to set on it so hope they grow. We have a third of Sicily in our hands and a lot of prisoners. Catania still holds out. I wrote and sent a letter to Ron on Sunday. I wish he could get it by next Sun. Jul. 25 as it is the anniversary of his wedding. I must write to Emmie too this week. It doesn’t seem possible that a year has slipped by so quickly. Norman [Lammiman] is to be married next week. He is 21. Gladys brought Eileen down this afternoon. She came with her G.ma [Harriet] Sunday night too. She is a sweet little babe and grows fast. Spot came too and Bill nearly wept when Father stroked her. Gl. brought a letter about two ladies who want to come on a visit. I wrote an answer for them to send back, though I would have preferred to deal directly with them. I set £2.2. a week for 1 b. room with 2 beds and sit. rm. and attendance. If they come it will be a little towards the rent. I can only do with them when Jean is at home in the mornings to help and she is only home from Fri. Jy. 23 to Tue Aug 17 so we’ll have to make our fortune quickly if at all! A lot of the mist has cleared. We are going to bed. Father on watch until 2 a.m. We are expecting Elsie Russell and friend some day this week. ‘Kids’ were bundles of thorny sticks, usually cut from hawthorn hedges. They were used to hold sand to build dunes with marram grass to form sea defences. ‘Kidding’ was a related local expression for collecting material for firewood sticks. 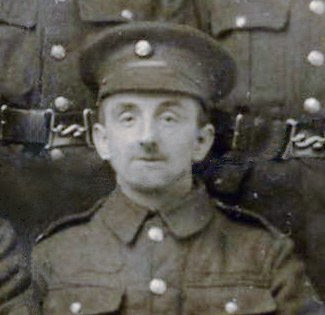 Frank Tagg was a farmer in Trusthorpe. 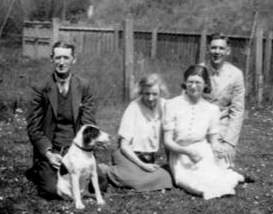 ‘Spot’ was Herbert and Annie Faulkner’s (Eileen’s parents’) dog. Elsie Russell was Emmie’s cousin.